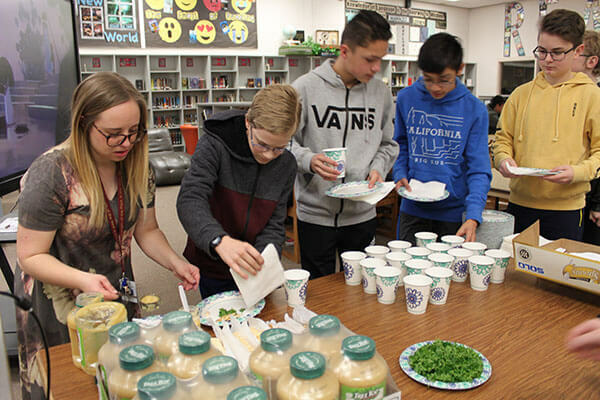 Eighth graders at Centennial Middle School prepare their Seder meals as they learn the cultural significance of Passover in their English classes. The unit for third term goes over the Holocaust, as well as Jewish culture. The theme for this year is “How do we remember the past?”, in accordance with the text “Night” by Elie Wiesel. 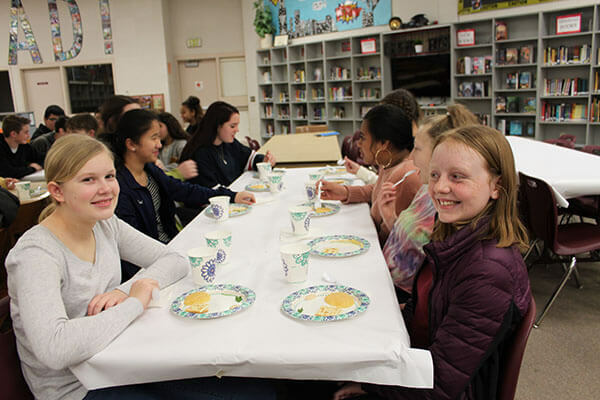 Maegan Sugrue prepares her eighth-grade class for the Passover activity by reminding them of the historical content, symbolism, seriousness of the holiday and the overall respect for experiences that may be unfamiliar. They begin by going over the order of the Seder Dinner: recite the 10 plagues, answer the four questions, prepare the Seder plate, sing the dayenu and the breaking of afikomen. 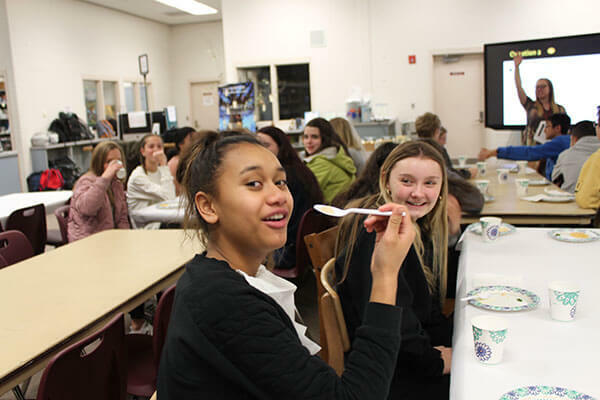 The students then go through the steps of the meal. The Matzoh, or unleavened bread, was represented with crackers, horseradish was used for the Maror, applesauce for the Charoset and parsley dipped in water for the Bitter Herb. 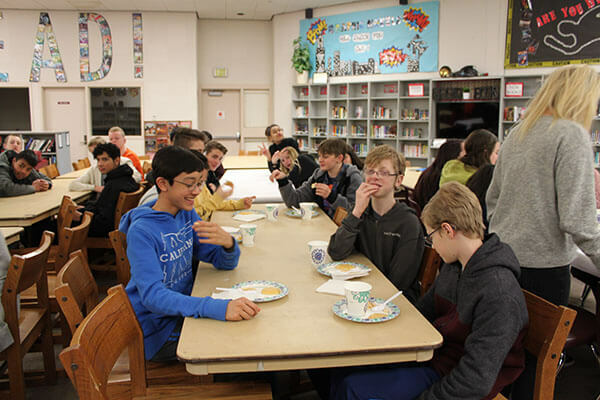 Following the activity, the students will also write a research paper about an individual that they deem a hero during the Holocaust. This is the fourth year this class has implemented the Passover activity. 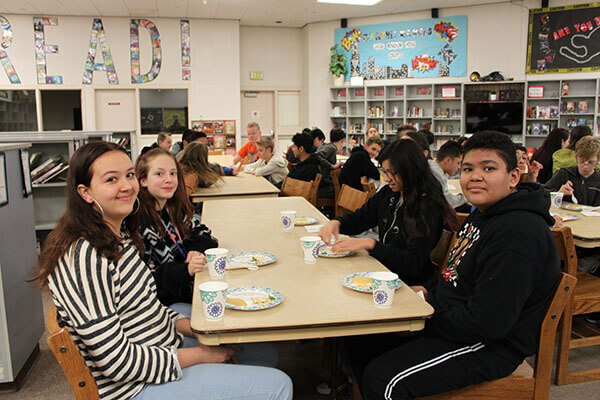 Through participating in this activity, it helps the students learn the basics of cultural traditions and allows them to make a text-to-self connection with the reading for a better understanding.